Goodnight everyone, and have a glorious spring weekend! Spring has official sprung, though it may not feel like it. Around these parts Lake Michigan acts as a built-in air conditioner. To enjoy a true spring you need to move west. In Milwaukee this weekend the highs will be about 58. Eighty miles away in Madison the highs on Saturday and Sunday jump to 68. Still it is a new season, and there’s music for it. This week, the sounds of spring. Let’s get started with the premier jazz ensemble of the United States Air Force. Created in 1950 to carry on the tradition of Glenn Miller’s dance band , The Airmen of Note has since adopted a more contemporary style. Here the band performs pianist Count Basie’s version of a jazz standard that dates back to 1932. My wife, Jennifer, wants to go in the worst way. Maybe, ultimately, the Chairman of the Board has it right. Sounded so nice had to do it twice. 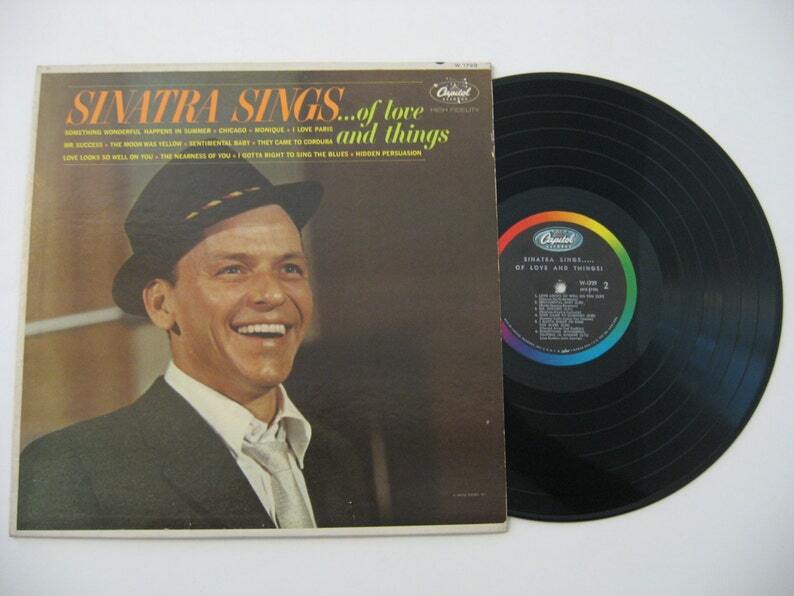 Sinatra and most of the other great crooners…they’re all gone. Who’s left? Tony Bennett. Steve Lawrence. Can’t think of anyone else. One of them made a series of commercials promoting NCAA basketball in the 1980’s, and we all know March Madness is extremely popular come springtime. The 1960 theater musical Camelot tells of the legend of King Arthur (Richard Burton) and his Knights of the Round Table. The play opens with the arrival of Guenevere (Julie Andrews) in Camelot who has come to marry Arthur. Later, in a jousting match Lancelot handily defeats three knights, to the growing admiration of Guenevere. Lancelot meanwhile has fallen in love with the Queen. After leaving the country for two years Lancelot returns, is knighted, and reveals in song his true feelings to Guenevere about her. Robert Goulet gained instant stardom with what would become his signature song. Before May flowers we’ve got to have April showers. Lots of songs about spring. Probably more that mention rain. And a gazillion times more where the subject is a springtime event…love. See if you like this version. And if the weather does cooperate this weekend, enjoy because this is no spring fever love note from the Weather Channel. There’s always room for some 1985 optimism.